Tisha Bender Tisha Bender is Assistant Director in the Rutgers Writing Program, and is the Hybrid Coordinator as well as the Coordinator of Research Writing. She is currently embarking on a project in which she will train teachers from China to teach effectively online, and they will then team-teach online international Rutgers Research Writing courses with teachers in the Rutgers Writing Program. She is the founder of Hybrid teaching in the Rutgers Writing Program, having trained groups of teachers since 2007 to the present to adapt their pedagogy to effectively teach online. Prior to this she was an Online Faculty Development Consultant, who has extensively trained online faculty at New York University, the SUNY Learning Network, New School Online University and Cornell University-ILR Extension. She currently teaches in the Rutgers Writing Program and the Geography department at Rutgers, and had also taught as an online instructor at Cornell and the New School. Tisha Bender is also the author of "Facilitating Online Discussion in an Asynchronous Format" in Issues in Web-Based Pedagogy: A Critical Primer (ed. Robert Cole), Greenwood Press 2001; "Role Playing in Online Education: A Teaching Tool to Enhance Student Engagement and Sustained Learning" in Innovate, April, May 2005; and “Engaging the Student: Learning for Life”, chapter 1 of Pedagogical Models: The Discipline of Online Teaching, edited by Michael F. Shaughnessy and Susan Fulgham, Nova Publishers, February 2011. 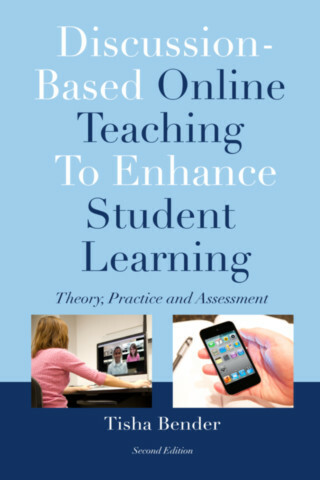 In addition she features in the following online interview: “An Interview with Tisha Bender: Discussion Based Online Teaching,” by Michael Shaughnessy. In Education News, April 19, 2010, and online at http://www.educationnews.org/michael-f-shaughnessy/95329.html.